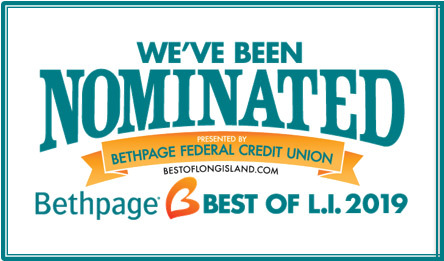 HVAC Services Bethpage: Need Emergency Air Conditioning Service? Imagine this: outdoor temperatures are soaring into the 90s with no cool down in the forecast. You realize that your Brooklyn-area home is warmer than it usually is. Even though your air conditioning unit is running, you can’t feel any cool air coming out of your vents. Before you panic, there are a few troubleshooting steps you can take to determine whether or not you need emergency air conditioning service. Check them out below and call GMG HVAC, Inc. for all of your HVAC service and maintenance needs! When your air conditioner is not working as it should, the first thing you should check is the settings on your thermostat. The thermostat should be set to a temperature that is cooler than the ambient temperature in your home. 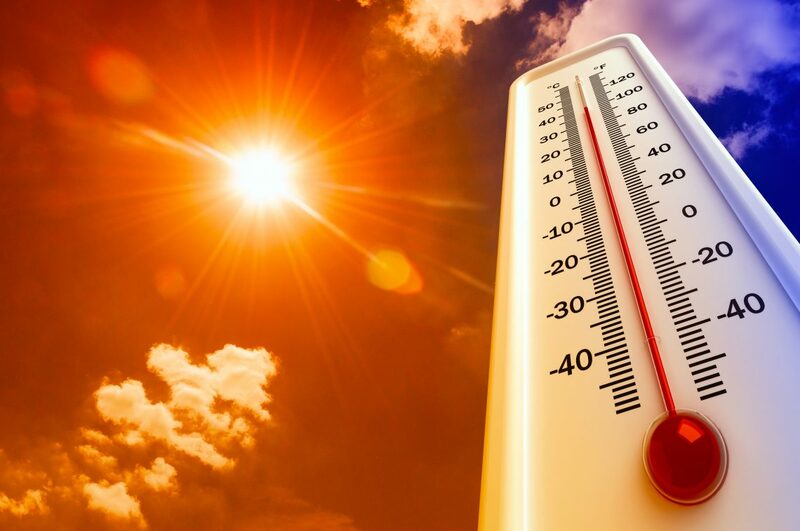 Keep in mind that on really hot days, your AC unit may have a harder time keeping up with cooling your home. Lower the temperature on your thermostat a few degrees, and it that doesn’t help, you can continue to investigate further. If adjusting the thermostat doesn’t provide any relief, you’ll want to check the air filter. Air filters are in place to collect dirt, dust, and other contaminants to keep the air in your home clean. Not surprisingly, they have a tendency to get clogged, and if your air filter is really dirty, it could restrict the airflow and efficiency of your AC unit. Your air conditioning filter should be changed every couple of month for optimal performance. In addition to the thermostat and the air filter, we recommend also doing a quick inspection of the register vents in your home. Check them all to make sure they are open and that air can flow through them freely. You also want to make sure there are no large pieces of furniture sitting on top of them. If you notice any type of obstruction in or on top of your registers, remove it to determine whether or not that is contributing to the problem. When air conditioners aren’t functioning properly, it can be because of a power supply issue. Central AC units have an indoor and an outdoor power disconnect device, and sometimes, fuses get blown or the breaker needs to be reset. If you’re comfortable doing so, you can try replacing fuses or resetting the breaker, or you can call a local HVAC company to do this for you. If you have performed all of these troubleshooting steps and your air conditioner is still not working, it may be time to call an HVAC pro for emergency air conditioning services. A professionally trained technician can perform a whole-system inspection to determine the source of the problem and determine whether air conditioning repairs are worthwhile, or if installing a new air conditioner would be more cost-effective. When you need your air conditioner inspected and/or repaired, you can count on the team at GMG HVAC, Inc. to be there for you. 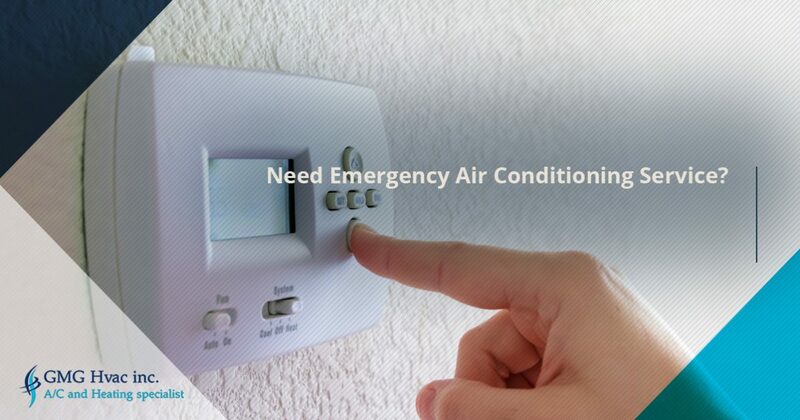 We gladly provide emergency air conditioning service 24 hours a day, seven days a week and we have been helping individuals just like yourself for more than 10 years with their heating and cooling needs. Call our team of knowledgeable and experienced HVAC tech today at 516-712-2339 to get started!